in GBP, GBP to ZAR. The Pound South African Rand (GBP/ZAR) exchange rate is in consolidation mode this morning, after Sterling roared higher on Wednesday. At the time of writing the GBP/ZAR exchange rate is down by roughly 0.3% this morning, giving back some of Wednesday’s gains. Pound (GBP) Uptrend to Persist on Positive Brexit Sentiment? The Pound (GBP) has enjoyed significant support so far in 2019 as investors become increasing confident that the UK will avoid a no-deal Brexit. Driving the most recent surge in Sterling are reports that the Labour party will back a cross party amendment that seeks to avoid a no-deal Brexit. It’s expected that the amendment will also require the government to also delay Brexit if there is no parliamentary consensus on how to proceed by the end of February, an outcome that is likely to be seen as GBP positive. South African Rand (ZAR) to Find Support from China Stimulus Pledge? Meanwhile, while the South African Rand (ZAR) has given ground against the Pound (GBP) this week, it has fared better in broader trade. This is mostly down to China’s recent pledge to support its slowing economy by increasing fiscal spending in 2019. ZAR investors welcomed the news, with many hoping that Beijing’s stimulus measures will help sustain Chinese demand for raw materials and help to prop up South Africa’s commodity driven economy. However it remains to be seen whether this act as any more than a band aid for wider problems, with the risk-sensitive rand likely to remain highly sensitive to any additional signs that the economy of one of its major trading partners is slowing. GBP/ZAR Exchange Rate Forecast: ‘Plan B’ Debate to Drive Volatility? Looking ahead, the main catalyst for short-term movement in the Pound South African Rand (GBP/ZAR) exchange rate looks set to be next week’s parliamentary debate on Theresa May’s Brexit ‘Plan B’. The debate is likely to see MPs table amends in an attempt to wrest control of the Brexit process away from the government, with Sterling potentially strengthening on hopes this will block a no-deal Brexit. 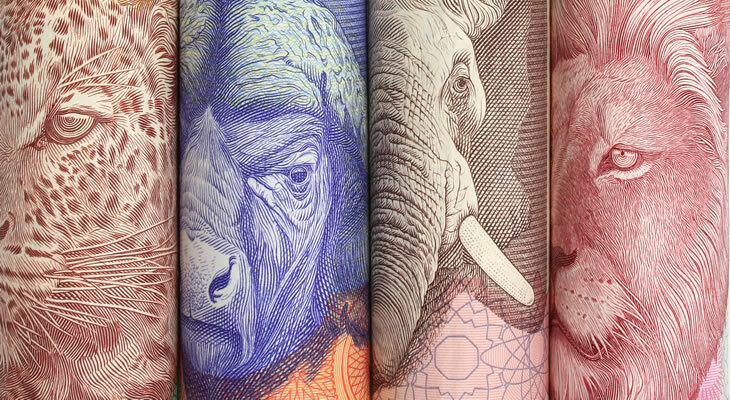 Meanwhile the Rand is likely to continue to take its cue from global developments for the remainder of January, potentially leaving ZAR on the defensive if market sentiment continues to be buffeted by global growth concerns.